Tim McCoy has been the Lead Pastor of Ingleside Baptist Church in Macon, Georgia, since September 1989. 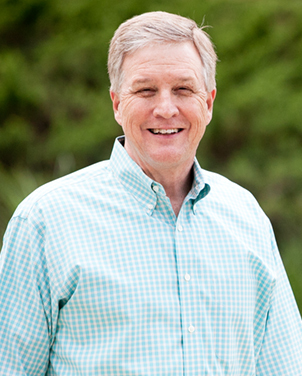 A graduate of Louisiana College (Bachelor of Arts degree in Religion, 1980) and The Southern Baptist Theological Seminary (Master of Divinity, 1983; Doctor of Philosophy, 1989), Tim has taught adjunctively at both his alma mater and Beeson Divinity School at Samford University in Birmingham, Alabama. Tim has served as First Vice President of the Georgia Baptist Convention (1995), as a Trustee of the International Mission Board of the Southern Baptist Convention (1994-2001), and as Chairman of that Board in 2000-2001. He was also a member of the Resolutions Committee of the Southern Baptist Convention in 2011. Named distinguished alumnus of the year in 2010, he currently serves as a member of the Board of Trustees of The Southern Baptist Theological Seminary in Louisville, Kentucky. Tim has also done short-term mission work in Belgium, Brunei, East Malaysia, Indonesia, Peru, Romania, Singapore, and Thailand. Born in Tupelo, Mississippi, Tim and his wife, Beverly, have two young adult daughters.